The performance of Toronto's top-tier condominium market eclipsed that of other major Canadian markets in both sales volume and percentage gains in 2017. Sales of $1-million-plus condominiums were up 59% year-over-year within the region, with luxury sales over $4 million up 91% over the previous year. 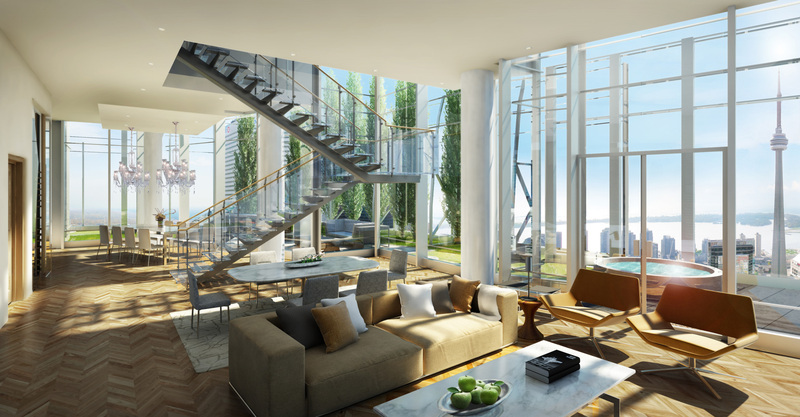 Toronto condo sales in the $4 million-plus range rose 82% and those in the $1-million-plus category were up 35% year over year. Condos provide "the accordion advantage" — party rooms that allow residents to host large dinner parties and, guest suites that mean occupants don't need to carry extra bedrooms as part of their home. It gives you the ability to accommodate your lifestyle, while reducing (your personal space requirements) if you're looking for more of a lock-and-leave kind of asset.